I feel it’s my duty to make you aware, so now you know! Send me a shootout on Twitter! Click the Twitter link on the side to find me! Author kyleabakerPosted on July 5, 2010 Categories BirthdayTags Birthday1 Comment on Happy Birthday to Me! Kyle, which formed Thursday east of the Bahamas, was moving north Sunday morning. So apparently I’m famous yet again! Hurricane Kyle is making it’s way towards the US and Canada. Kyle, a Category 1 hurricane, is forecast to make landfall late Sunday or early Monday near the border between Maine and Canada. As of 11 a.m. Sunday, Kyle’s center was about 140 miles (225 kilometers) east-southwest of Nantucket, Massachusetts, and 355 miles (570 kilometers) southwest of Halifax, Nova Scotia, the National Hurricane Center said. The storm formed Thursday east of the Bahamas. Kyle’s maximum sustained winds were near 80 mph (130 kph), with higher gusts. The winds had strengthened since Saturday night, when maximum sustained winds were barely above hurricane strength at about 75 mph, forecasters said. 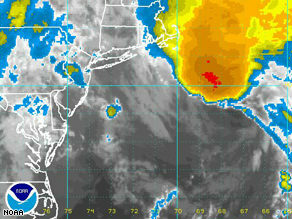 A Category 1 storm has winds from 74 to 95 mph. Kyle was moving north Sunday morning at near 24 mph and was expected “to pass east of Cape Cod, Massachusetts, and the coast of Maine later today and tonight,” the forecasters said. Haha, I just had to. 😛 So today is my 22nd Birthday! I’m just now to the point where every birthday becomes more and more of a disappointment, lol. It’s cool up to 21, but after that nothing special happens and you’re only getting older. Hopefully I can make something fun happen! Author kyleabakerPosted on July 5, 2008 February 27, 2014 Categories Birthday, NewsTags Birthday, kyle, kyleabakerLeave a comment on Happy Birthday Me! Author kyleabakerPosted on July 3, 2008 August 12, 2008 Categories BirthdayTags Birthday2 Comments on Happy Birthday Brittany! First of all, Happy 21st Birthday Jessica! Just wanted to post a public happy birthday message for you! Hope you’ve lived up the day! Just for fun, here is a list of other famous birthdays on the same day (I know we talked about one of them last night)! Let me know if there are others as well. Happy Birthday again!